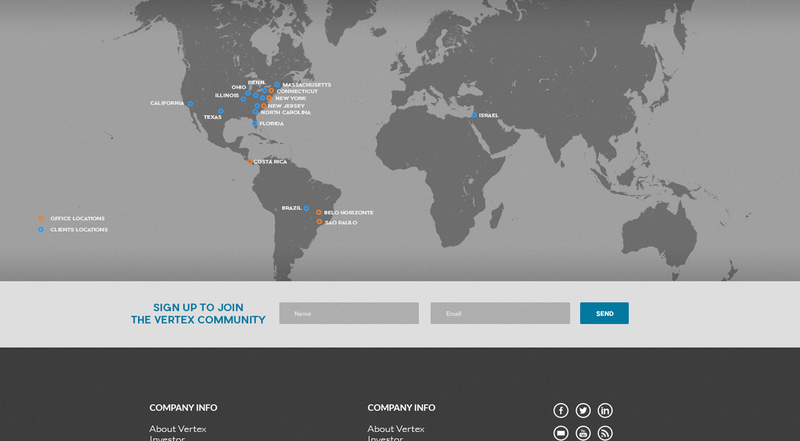 Vertex Global Solutions is a staffing firm with over 20 employees, working with preeminent clients worldwide. 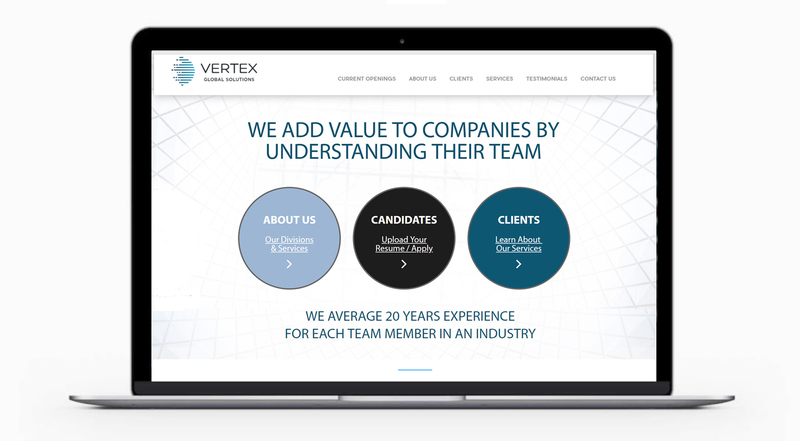 The firm fills positions in the areas of information technology & high tech, logistics, sales & marketing, finance & accounting, and administrative support. Industries serviced include financial services, telecom, biotech/pharmaceutical, and nonprofits. 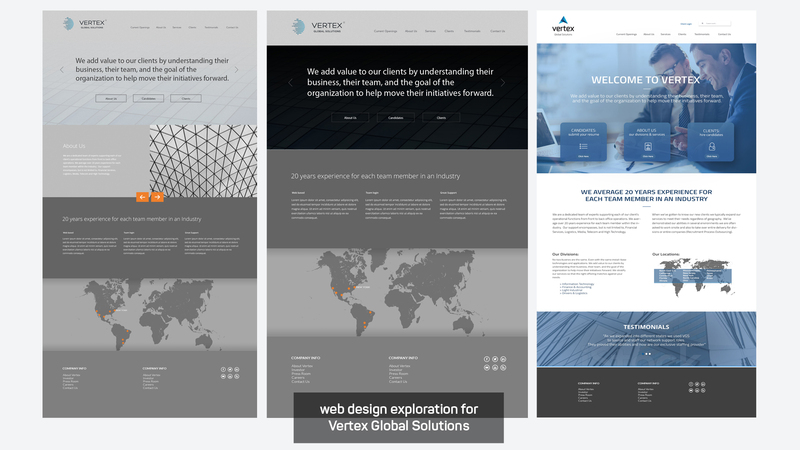 Vertex works very closely with its clients to understand their precise needs, and often expands its services to meet client requirements, regardless of geography. 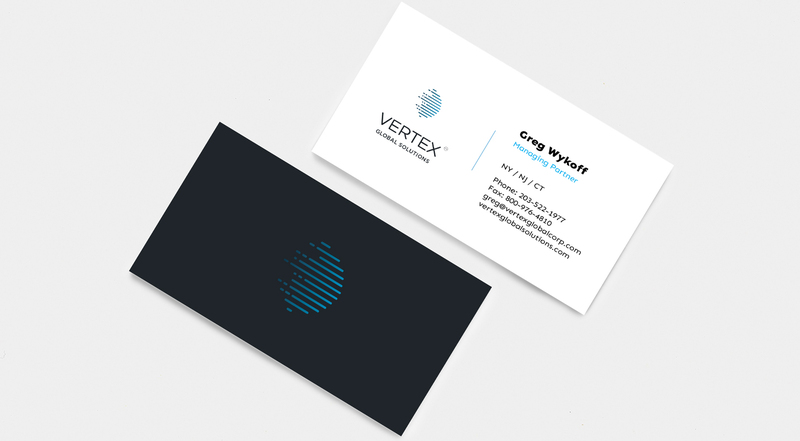 We worked with Vertex to brand the firm with a new logo (including letterhead and business cards). 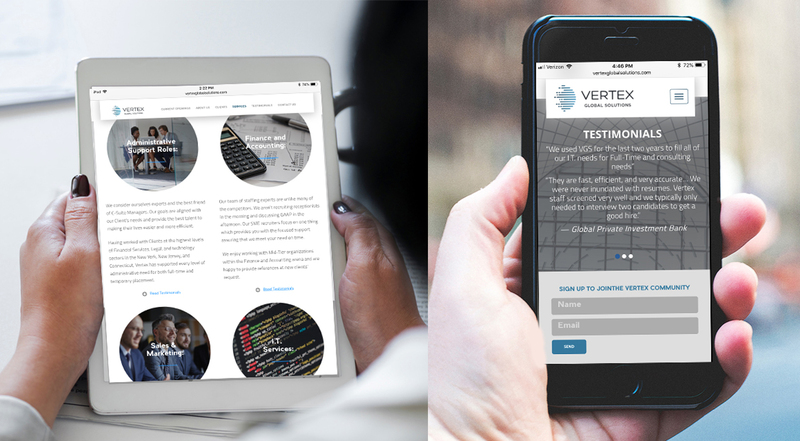 We designed & developed a modern, responsive WordPress website and integrated the site with a new jobs application platform connected with LinkedIn.